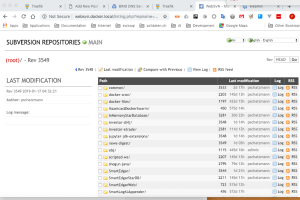 In Docker you expose functionality by specifying a port mapping and then you can address the application on the physical host with the mapped port. I am using Docker quite some time now and this was getting a little bit too tedious because each mapped port needs to be unique and then you need to remember the port numbers to be able to start your application. So I wanted to simpler way by using speaking host names. E.g. http://svnclient.docker.local should display the svnclient and this should work from all my clients in my local network. 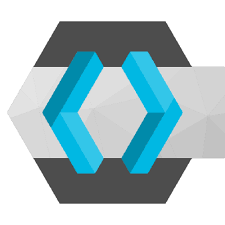 Traefik is a modern HTTP reverse proxy and load balancer that makes deploying microservices easy. It provides some predefined “providers” and Docker is one of them. Treafik automatically sets up the routing from frontends to backends. Therefore is is necessary that the Treafik container and the Application containers are on the same Docker Network so that they can communicate with each other!. # Entrypoints to be used by frontends that do not specify any entrypoint. # Each frontend can specify its own entrypoints. # Sets the filepath for the traefik log. If not specified, stdout will be used. # Default base domain used for the frontend rules. # Can be overridden by setting the "traefik.domain" label on a container. # Expose containers by default in Traefik. # If set to false, containers that don't have `traefik.enable=true` will be ignored. # Use the IP address from the binded port instead of the inner network one. # there is no bind), the inner network one will be used as a fallback. # Use Swarm Mode services as data provider. # Polling interval (in seconds) for Swarm Mode. # Define a default docker network to use for connections to all containers. # Can be overridden by the traefik.docker.network label. network = “web”: This is the network name that I created in step 1. If you are not happy with this name you can change it here. I started with a default network (as explained in the next chapter) but I changed the network setup to explicitly enumerate the networks that should be used to communicate with the applications. You could enter a label to specifiy the port: traefik.port=80. But this is only necessary if treafik can not pick the right port automatically. Both application should now have an entry in the list of frontend and backend in the Traefik Dashboard which is available with http://your_host:8080. But I wanted that the websvn.docker.local address is working in my Browser which actually does not work (yet). Use DNSMASQ: There are quite a few tutorials available (which are dependent on your Operating System) and usually this is easy to setup – unless you are on a recent version of Ubuntu. Unfortunately I was using Ubuntu and I gave this one up because it was getting too messy. 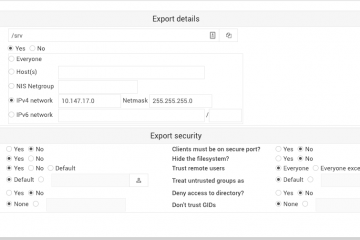 Use a DNS Server and setup a wildcard host address. 8. Change Network Settings in my local McBook to use 10.147.17.177 as DNS.